Blowout Sale! Free Shipping Included! 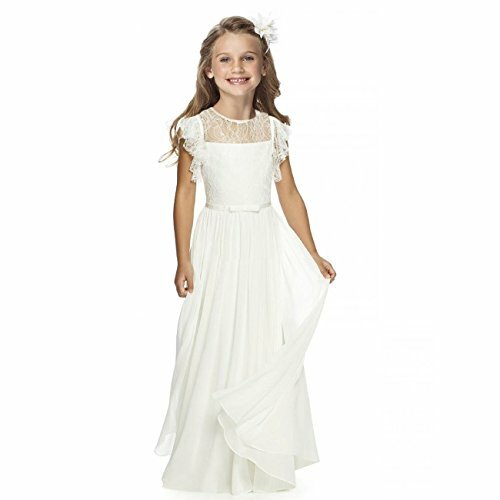 Save 56% on the Fancy Girls Holy Communion Dresses 1-12 Year Old White Size 6 by Sittingley at SCRHI. MPN: SIT059-9. Hurry! Limited time offer. Offer valid only while supplies last. 1.▶ABOUT PICTURE:Same & 100% Cotton liner. 2.▶ABOUT SIZE:Pls refer to the size chart on the left or look the detail measurements in the following product description.For most accurate fit,we recoomend checking the detail measurements before purchase. 3.▶ABOUT WASHING :Gentle Cycle Wash and Hang Dry Recommended.Dry Clean is also an option,which will Lengthen the use of your Sittingley dress. 4.▶ABOUT SHIPPING :The dresses are sent and serviced by Amazon so that you will receive the dress soon and safely. Also you could contact us,we will do our best to service for you. 5.▶ABOUT OCCASION:Worry about no beautiful than other little kids? Want to been commended and admired on the wedding party ? Zipper back fitted bodice has an attached sash made of sheer organza and includes a matching belt highlighting the waistline. The bowknots on bodice front is so adorable and add the cutest extra touch. Make your baby become more fashionable, attractive, beautiful, your kids will like it as a Princess gift. If you have any questions about this product by Sittingley, contact us by completing and submitting the form below. If you are looking for a specif part number, please include it with your message.